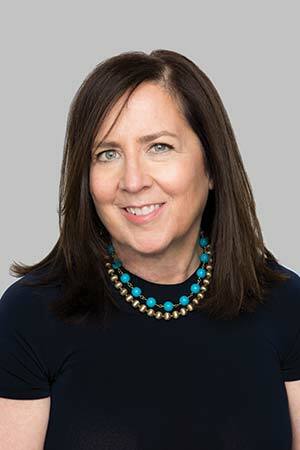 With more than 20 years of sales experience, Kathy Cohn offers her trusted clients unique marketing solutions, customer-driven responsiveness, and true professionalism. Kathy received her bachelor of arts degree from University of Michigan before attending Loyola University in Chicago where she earned her Master’s in Business Administration. Soon thereafter, Kathy began her career working for the Chicago Tribune where she earned numerous awards for outstanding sales achievement. Post Kathy’s career in advertising she began her commercial real estate career leasing Class A office buildings and retail in downtown Chicago with internationally acclaimed developer U.S. Equities Realty. As an award-winning marketing executive and relationship strategist, Kathy’s creativity and negotiating skills led to a seamless transition to residential real estate. As in her previous professional endeavors, Kathy continues to excel in providing discrete and individualized customer service. Kathy has developed a referral based business working with C-suite executives, upper and mid-level management and entrepreneurs. Kathy remains active in the community dedicating her time to volunteering and strategizing with non profits and community leaders. She is active in the arts, health systems, local and state schools.